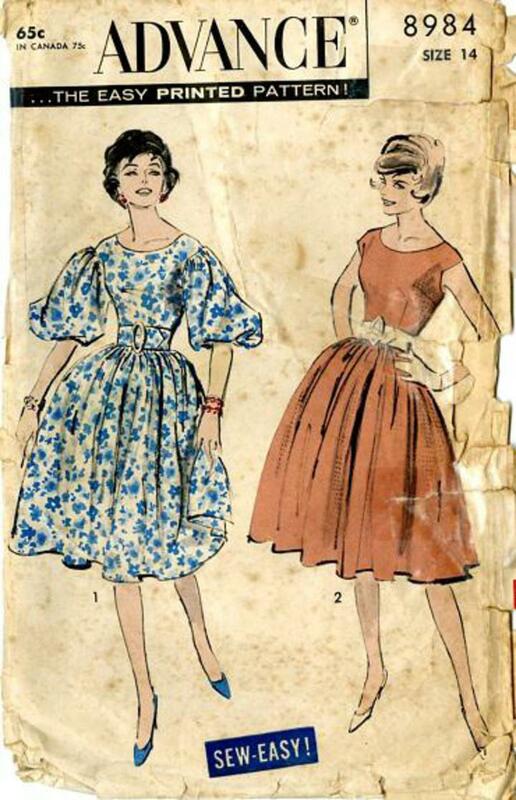 1959 Advance #8984 vintage sewing pattern, misses' romantic dress, dart-fitted bodice with scoop neckline and drop shoulder armholes can have push-up bell sleeves or can be sleeveless. 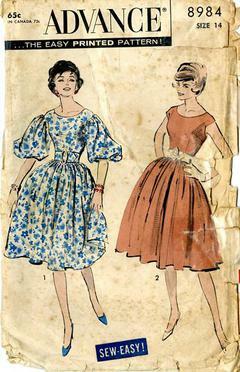 Wide contour self or contrast belt sets off flared skirt gathered at waist, size 14. Envelope is in poor condition.